Menopause basically marks the time in a woman's life when she stops menstruating. This is normal and it is often accompanied by a variety of symptoms like hot flashes, mood swings, and many other indicators. This mainly depends on the individual. Menopause usually lasts for about four years before ending. Every woman is different, and therefore the age at which each woman starts menopause will completely depend on the woman—rather like puberty. With menopause, however, the age may vary even more. The average age for a woman to start menopause is 51, but many women will begin this stage of life either sooner or later. 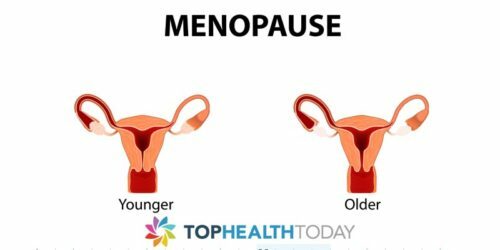 Usually, you can guess that you will start menopause between 45 and 55 years of age, with 51 being the average. Some women will begin menopause in their 40s or even in their 30s. On the other hand, some women do not go through this period of life until they are into their 60s. With 30 years of variability, it may be difficult to know when menopause will start for you, but there is a really good chance that a woman will start to go into menopause at about the same time as her mother did. 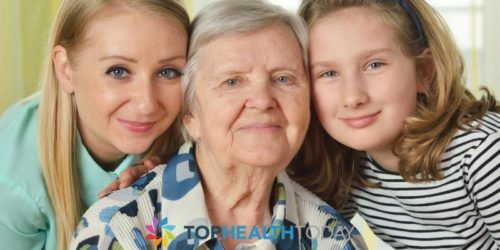 The reason that most women take after their mothers is because menopause is quite strongly linked to genes. There are always exceptions and some women just don't take after their mothers. Sometimes even if a woman's mother went through menopause at the average age, she might start before the age of 45. There may not be a detectable reason and it might be the consequence of a one-time genetic mutation or something else. It could be random or it could also be genetic and skip a generation. If you know when most of the women in your family went through menopause, and they were all at around the same time, then there's a strong chance you will follow after them. There are also other influences which could affect when a woman goes into menopause. Smoking is a lifestyle choice which unfortunately can do quite a bit of harm to the ovaries. As a result, this may make a woman go into menopause early. If your mother didn't smoke but you do, then you will probably experience menopause before she did. Like smoking, chemotherapy can cause damage to the ovaries. Some women may even go through a temporary kind of menopause during chemotherapy. Sometimes menopause even stops permanently, but if menstruation does return menopause will come several years before it would have without the chemotherapy. Ovarian surgery and ethnicity may also play a role in when a woman will have menopause. While some Asian women will often go through menopause later in life, Hispanic and African-American women often go through menopause slightly earlier. When a woman had her first period, pregnancy and breastfeeding, and the use of hormonal birth control won't have an affect on when menopause begins. The closer a woman gets to the time of menopause the more easy it should be to predict when that time will come.